Importantly, the Astro retains a practical size and an overriding ability to be used in all circumstances, which is an essential part of Carabiner design that is sometimes forgotten in the race to shed weight. Full size carabiners are easier to hold but generally they're also heavier. This is a totally debatable field as there is no official size, weight, or gate opening necessary to be full size. There are no certifications and this isn't a standard the manufacturer's normally describe specifically. We did our best to compare (descriptions, in-person use, etc), as a way to help give more information about this carabiner. Like always, if you see something that seems totally off, send us a note. The number of different colors that you can find this carabiner in. This color-coding practice was started with just 2 colors, usually silver (that goes on the bolt side of a quickdraw) and another color for the rope side. Now, carabiners come in 5+ colors sets known as "rack packs" so your carabiners can match your cams. Climbers can also match their carabiner color to their harness or other gear just for fun. A visual warning is only seen on locking carabiners. It adds another tell to show if the carabiner is locked or not. 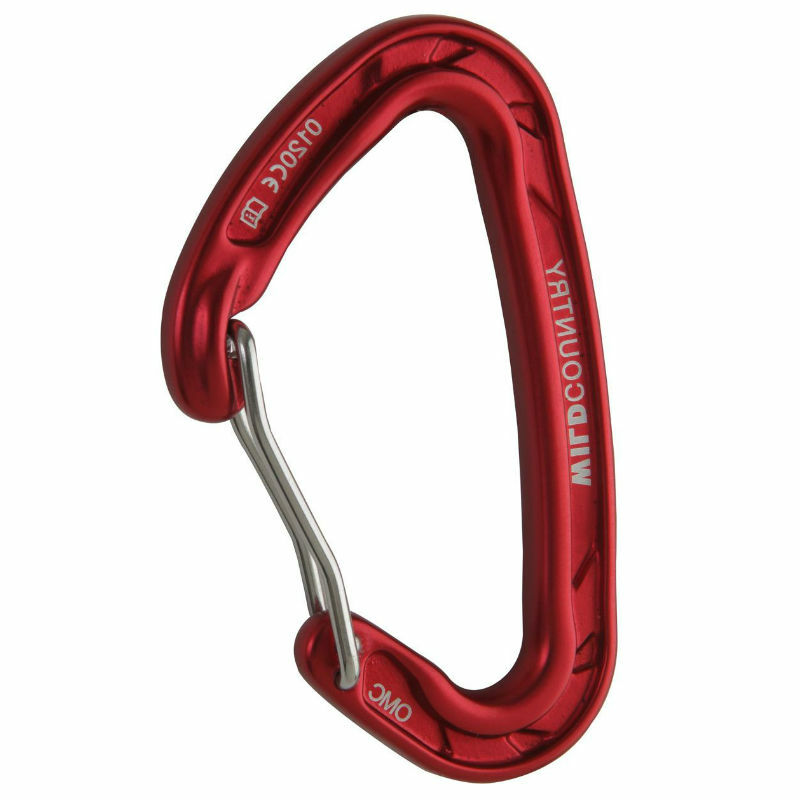 If the carabiner is not locked, you'll see a warning such as the color red, a danger sign, or an unlocked image. Only a small list of manufacturers add this safety feature, although you can easily add one yourself with a permanent marker. In kilonewtons, the strength, as stated by the manufacturer/brand. 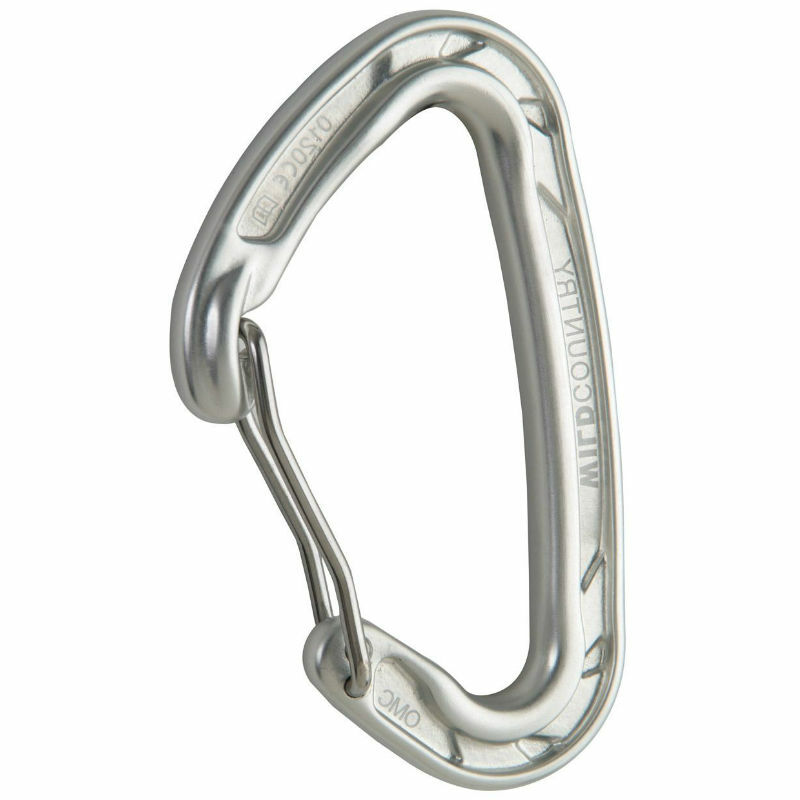 This is the strongest orientation and the way carabiners are designed to be loaded. This strength is measured because while climbing, carabiners lying against the rock can be opened slightly as they move across an uneven surface. A carabiner can also open slightly during a fall as the ‘biner starts to vibrate, dispersing the energy (also called "gate flutter"). A weak gate closure (due to a poor/failing spring or an over-stressed wire) could also leave the gate ajar. 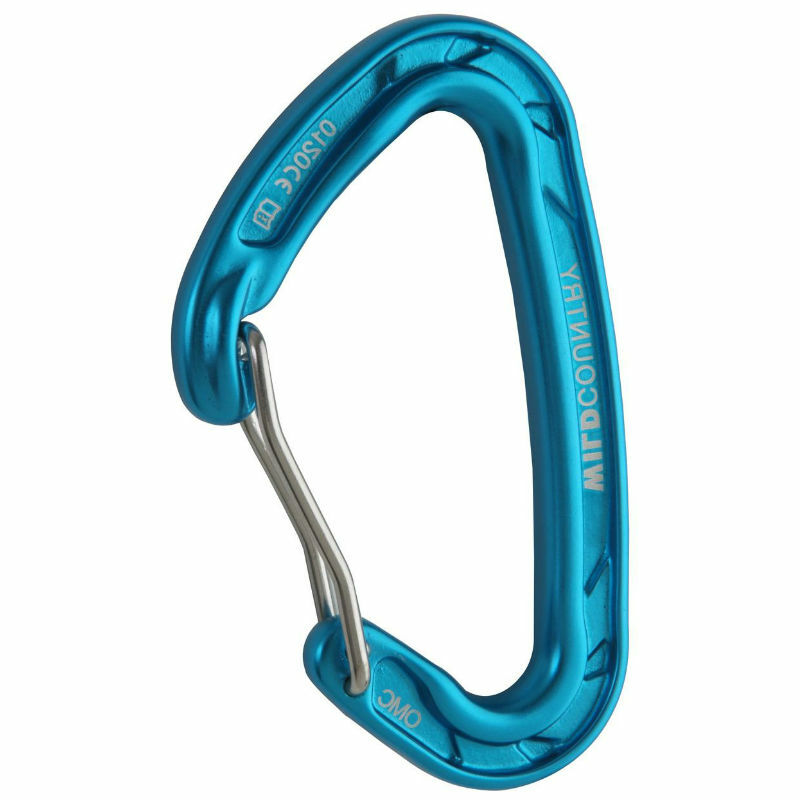 Carabiners are not intended to be loaded along the minor axis (cross-loaded), but it is possible for a carabiner to unintentionally rotate during use, especially while belaying. Of all accidental misuses of a carabiner, cross-loading is the most frequent suspect, which is why there is a rating for it. Generally wire gates are stronger than solid gates in the minor axis. During the test, the wire gate bends, absorbing some of the force, as compared to a less pliable solid gate. How carabiners are rated, recommendations and strengths. Illustration of Wild Country Carabiner Manufacturing Process. I use these biners (w/ a locker) for my cordelette. For me they (along with all the other super lightweight biners) have too small of a gate opening for me to easily rack with them (practice makes perfect?...). Either way, I like having this biner around. I've used them on draws before and they worked, but I haven't done it since--they're just not as awesome as the WC Nitros (or Heliums), but those full-size biners aren't really a fair comparison. Compared to other micro-biners I like this one the most. The Wild Country Astro is just a great size and weight. It is not the lightest, but is pretty darn light. Unlike the mega light biners like the Metolius FS Mini, this biner is easy to hold both because it is a reasonable size and has an I-beam spine that is easy to grip. The hooded nose helps to protect the carabiner from getting opened by getting rubbed across the rock. It was on of the easiest to clip of all the small and light carabiners. The venerable UK outfit Wild Country sells a quiver of ultralight wiregates (Astro, Helium, Nitro, Xenon). I’ve been running Astro draws for a while, so I’m quite familiar with the carabiner. This is a great, middling-light clipper and lands squarely in the upper-middle ranks for gate-opening size. The nose is elegantly hooded, for minimal snag hassles, and the gate is properly stiff like a strong cup of Earl Grey. The I-beam shape is aggressive, with an innovative look that incorporates pockets of varying depths, while the rope cradle has a deep dip and smooth action. The convex spine is easy to handle, a true pleasure to clip. I’d use the Astros anywhere, from trad to sport to alpine. How to use Wild Country Carabiner, general information, warnings and maintenance and storage with instructional pictures. A pictoral representation of UIAA-121 and EN-12275 standards for connectors (the UIAA's fancy word for carabiners).